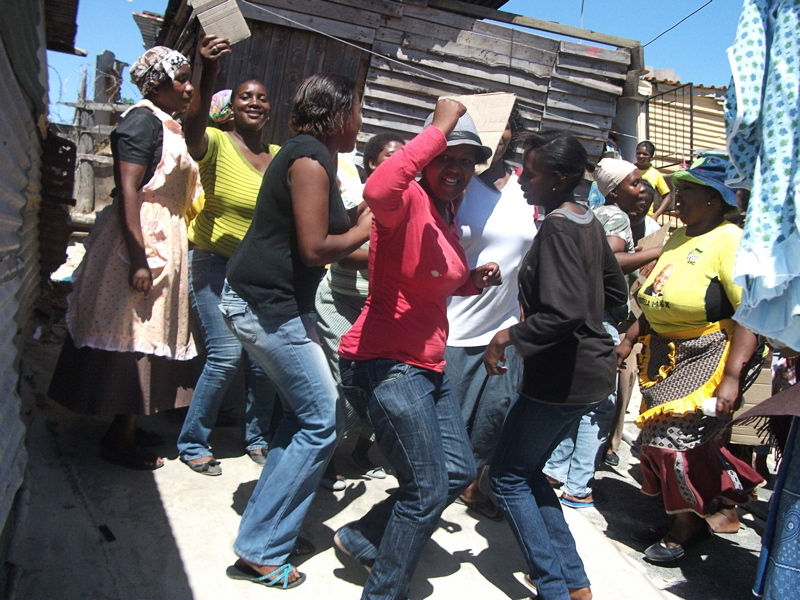 Over 50 woman from the YAB and Tshepe-Tshepe informal settlements marched to Khayelitsha Site B police station on Thursday (24 February) demanding that the police demolish a shack used as a hideout by thugs.The women marched on the police station at about 10am, by 2pm, the shack was no more. The original owner of the shack, Mzwebandla Witbooi, died in January last year and passed it on to his sister Xoliswa Witbooi. But she never took care of it and it became abandoned, and thugs started using it as a hideout and a place where they committed crimes. The women said on Saturday last week for instance, a woman from Tshephe tshephe was raped and robbed in that shack after setting out to the train station to get to work. YAB Residents’ Committee Chairperson Unathi Mbengwane said when residents from Tshephe-Tshephe told them that thugs were hiding out in the shack, they decided it needed to be torn down. Mbengwane said they tried many times to get Xoliswa Witbooi to meet with them but she never attended scheduled meetings. Eye witnesses said City officials helped residents and the Residents’ Committee to tear the shack down. But Khayelitsha police spokesperson Annek van der Vyver said although police could not authorize the demolition of the shack, she would pass the matter on to the station commander.